SUNNYVALE, Calif., Oct. 30, 2018—Trimble (NASDAQ: TRMB) announced today it has selected ForestX to distribute and support Trimble’s Connected Forest Software-as-a-Service (SaaS) portfolio in Sweden, Norway and Denmark. Trimble Forestry and ForestX will work together to bring innovative, technologically-advanced solutions to the Scandinavian forest industry. “ForestX brings decades of experience and a deep understanding of the needs and operational requirements of the Scandinavian forestry industry. 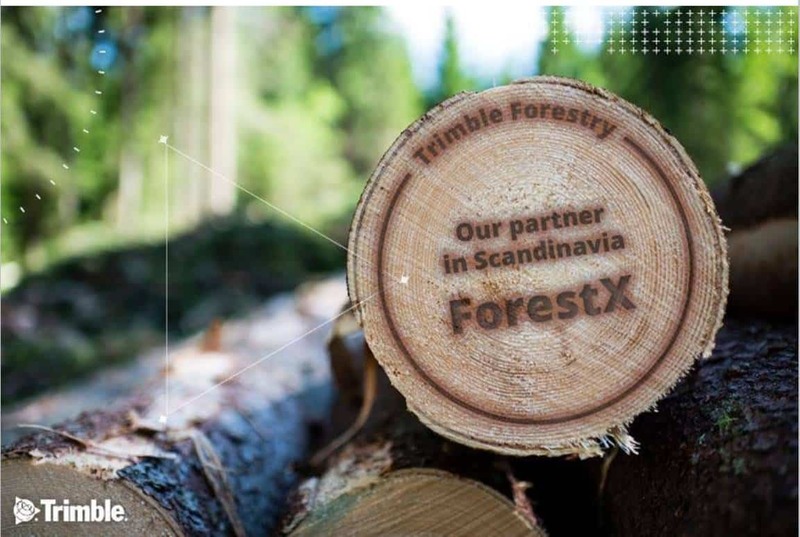 ForestX will match our solutions with specific customer needs, and be a local partner in order to ensure the highest levels of support to Connected Forest customers in Sweden, Norway and Denmark,” said Kevin Toohill, general manager, Trimble Forestry Europe. “We are proud to join forces with Trimble to bring its wide range of forestry specific software solutions, including the Connected Forest SaaS software portfolio, to Scandinavia. Our specialized team members are on the front lines of technological change in the forest industry, and we are pleased to work closely with Trimble to introduce the most innovative forestry solutions to our market,” said Carl Barck, CEO of ForestX AB. ForestX digitalizes and creates business value for the forest industry by combining new technology, process knowledge and business expertise combined with a portfolio of unique industry products. The founders of ForestX have a deep knowledge of the Swedish and Scandinavian forest industry and a long history of implementing many major IT solutions for the industry with a team of experienced professionals. For more information about ForestX visit: www.forestx.se. Trimble’s Forestry Division offers land, forest and fiber management solutions that improve the productivity and operations for some of the world’s most recognized integrated forest product companies, forest landowners, timberland investment, conservation, state and federal departments as well as international food processing companies involved in environmental, social and economic land management. The Connected Forest SaaS portfolio provides solutions to manage the full raw materials lifecycle of planning, planting, growing, harvesting, transporting and processing. For more information about Trimble Forestry visit: www.trimble.com/forestry. Trimble is transforming the way the world works by delivering products and services that connect the physical and digital worlds. Core technologies in positioning, modeling, connectivity and data analytics enable customers to improve productivity, quality, safety and sustainability. From purpose built products to enterprise lifecycle solutions, Trimble software, hardware and services are transforming industries such as agriculture, construction, geospatial and transportation and logistics. For more information about Trimble (NASDAQ:TRMB) visit: www.trimble.com.